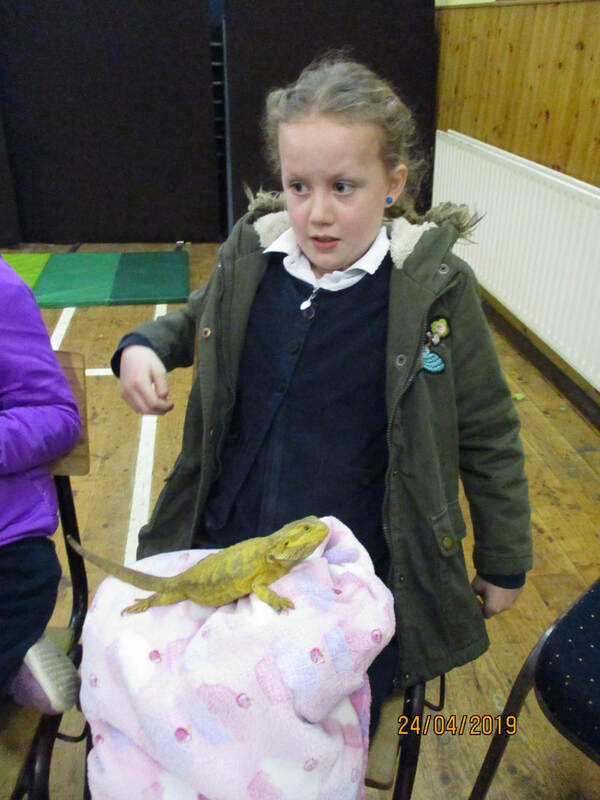 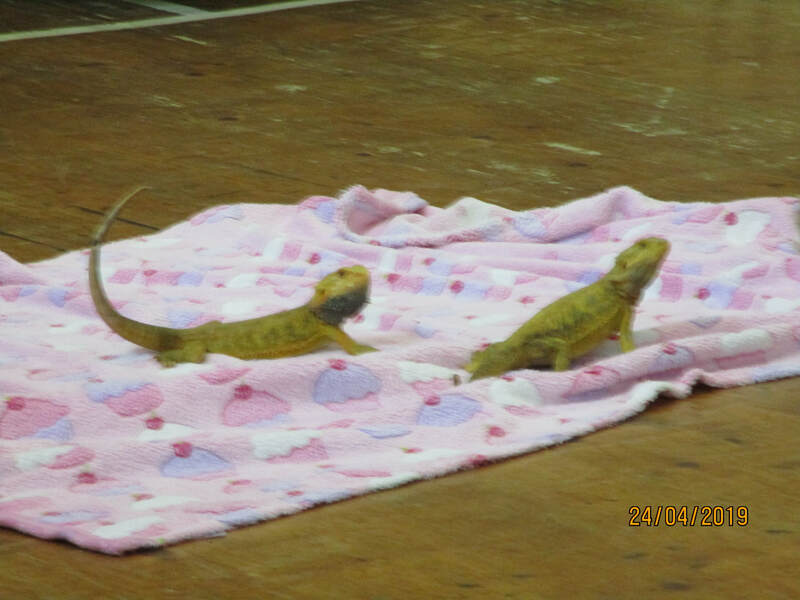 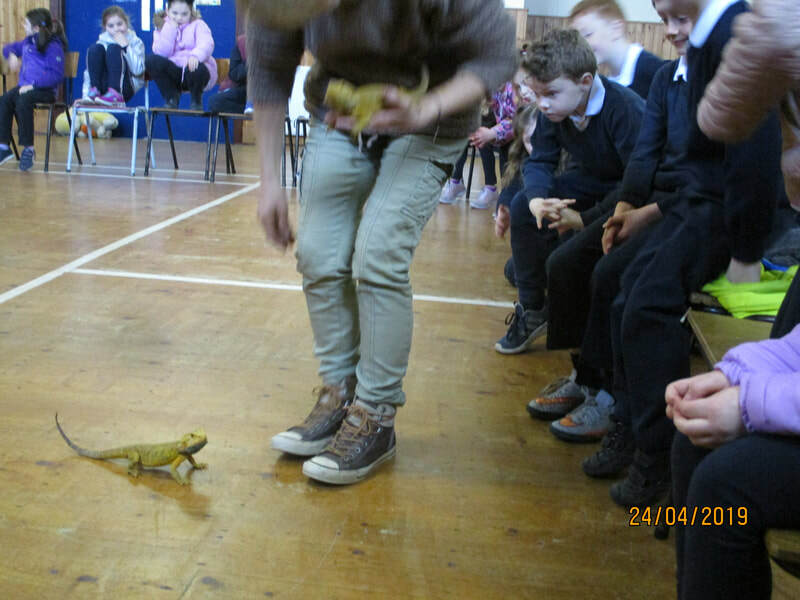 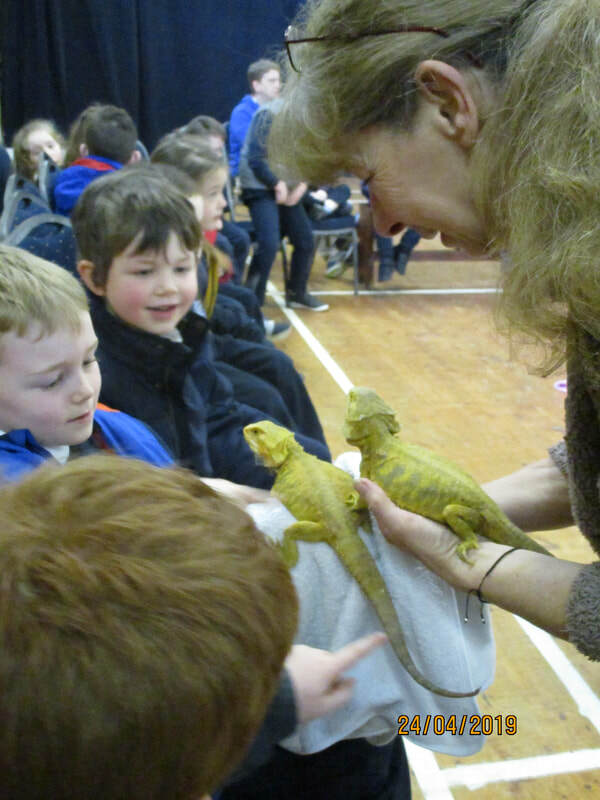 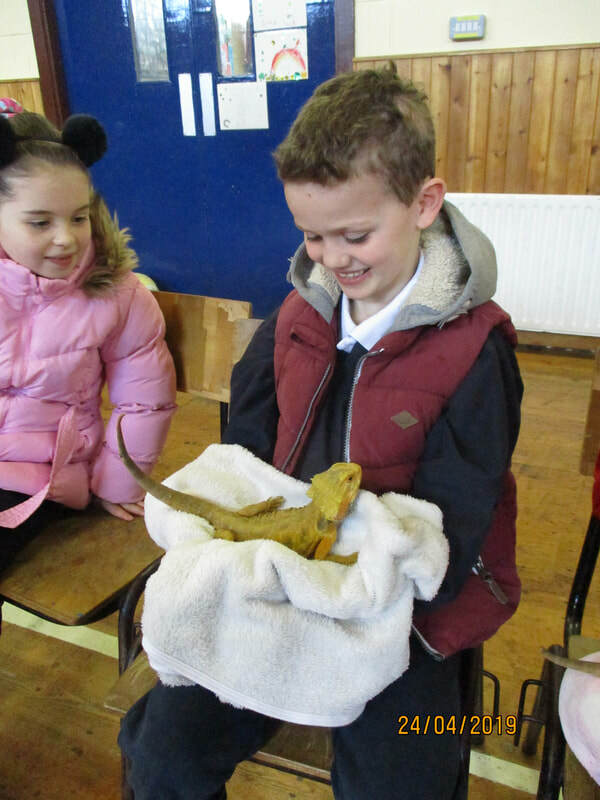 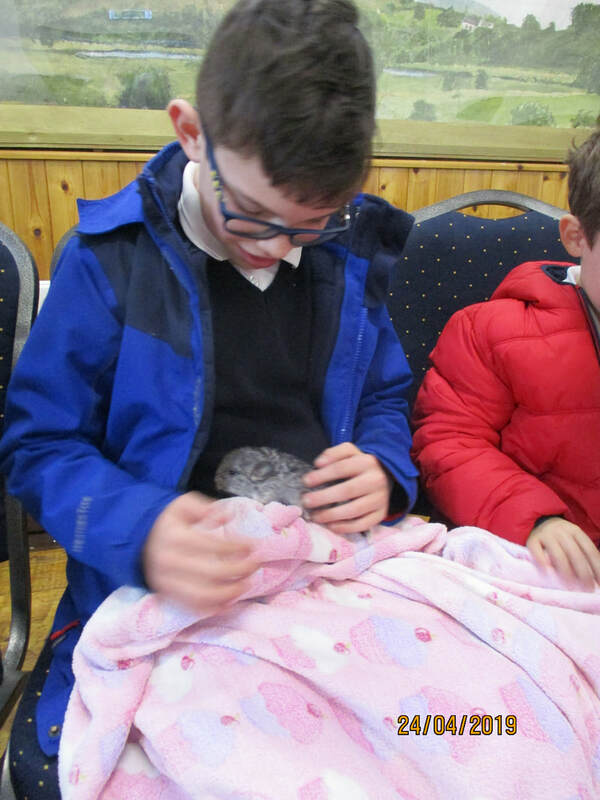 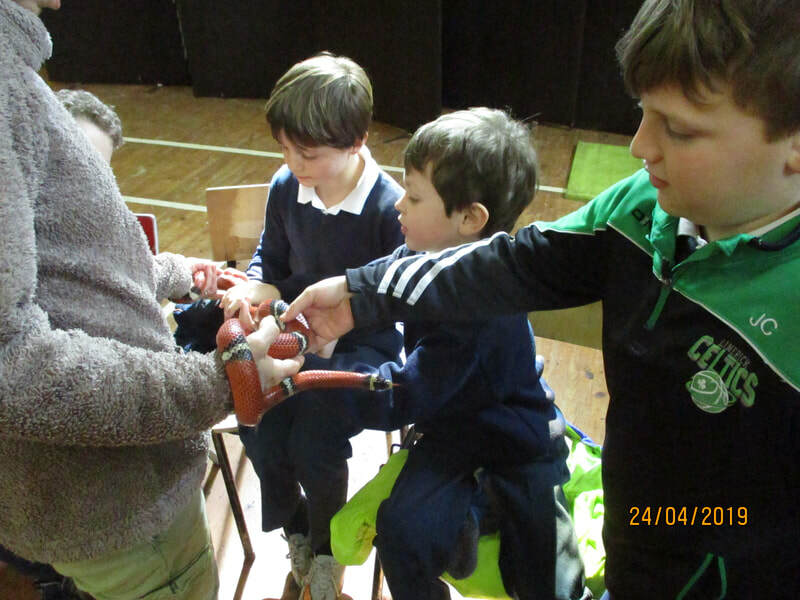 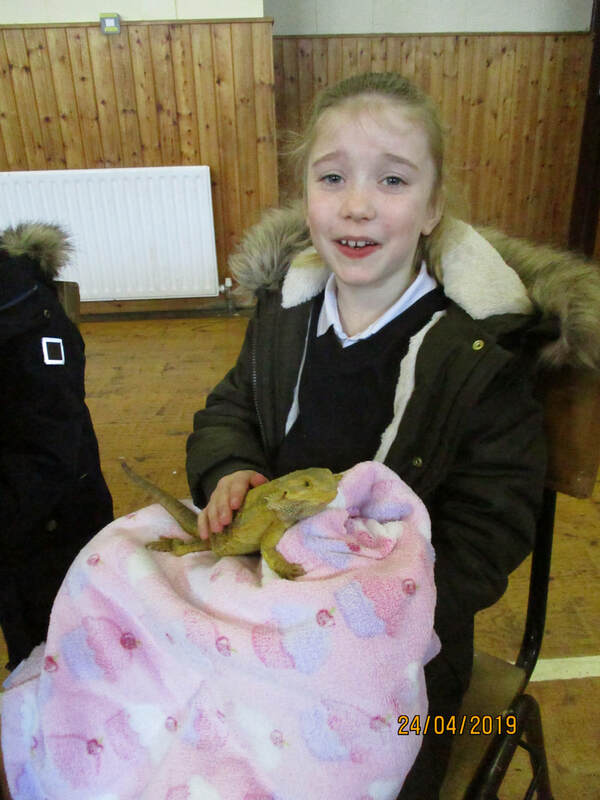 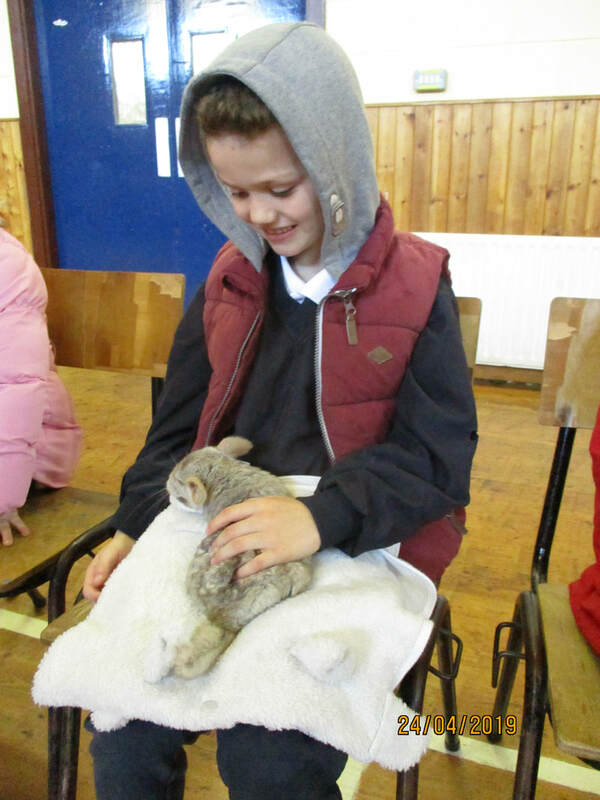 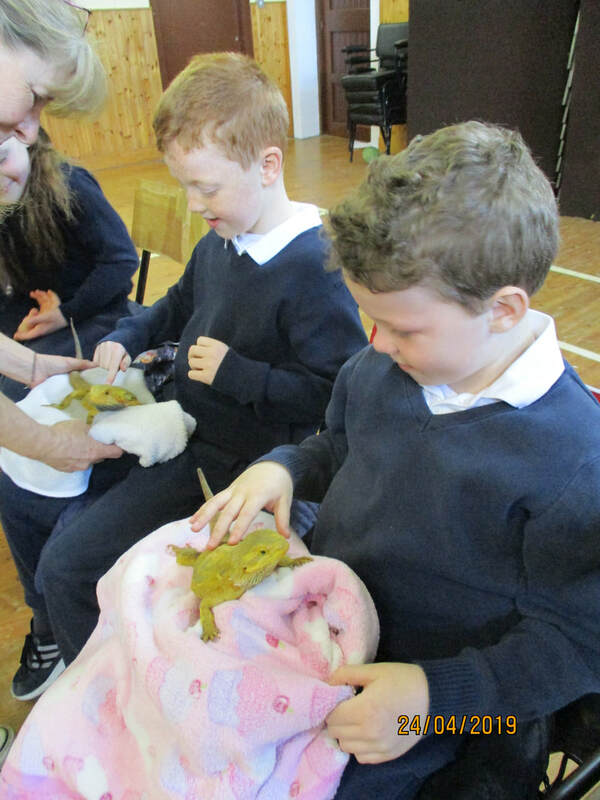 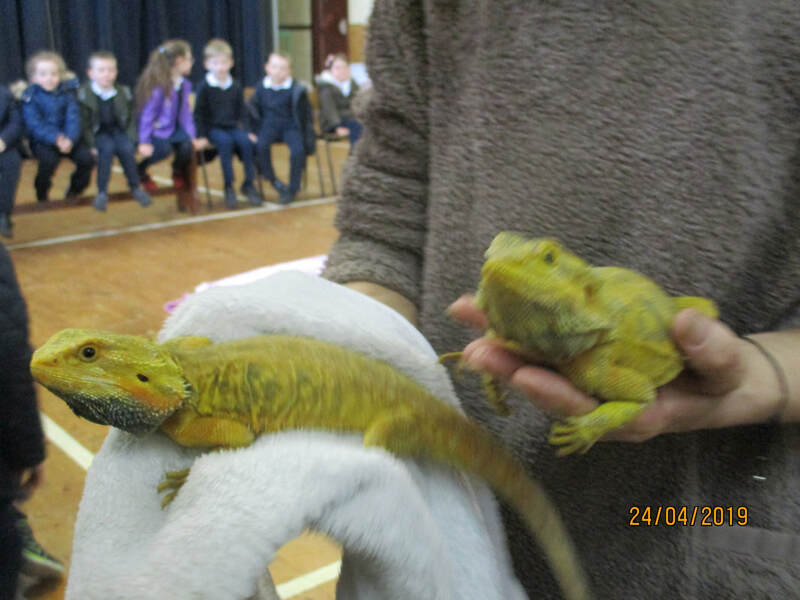 Rosie from Animal Magic visited our school and brought lots of Magic Animals for us to see and hold. She explained how they rescue many animals, bring them back to health and train them. 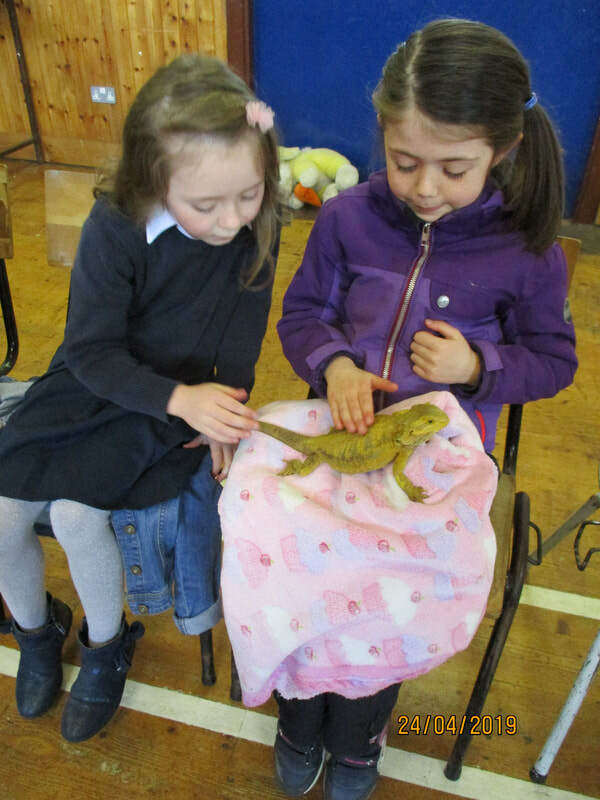 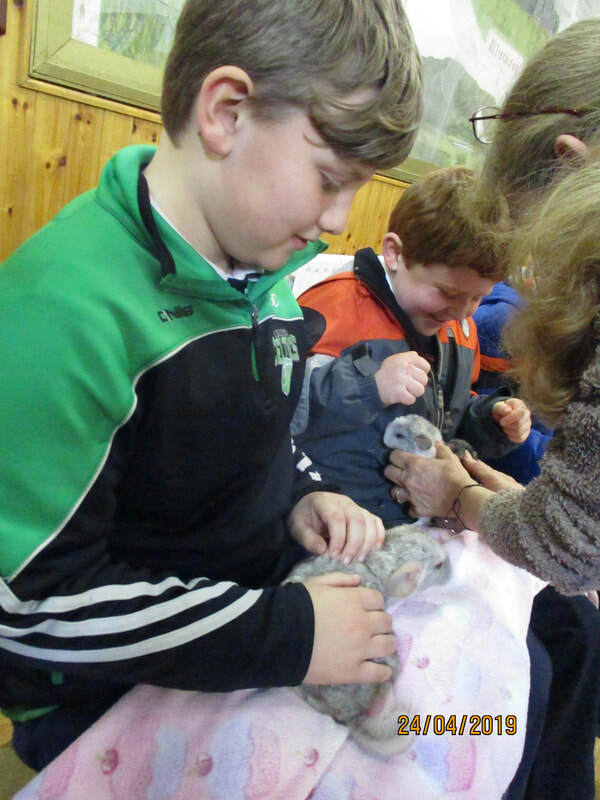 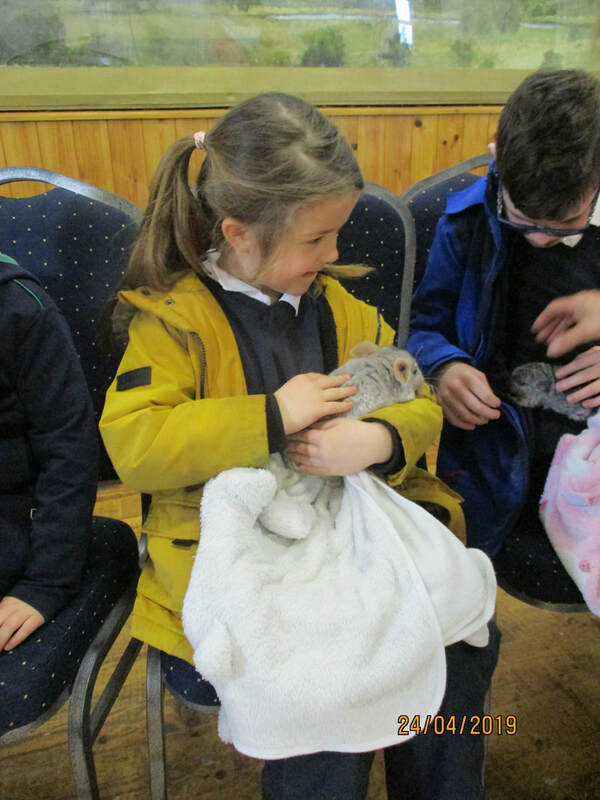 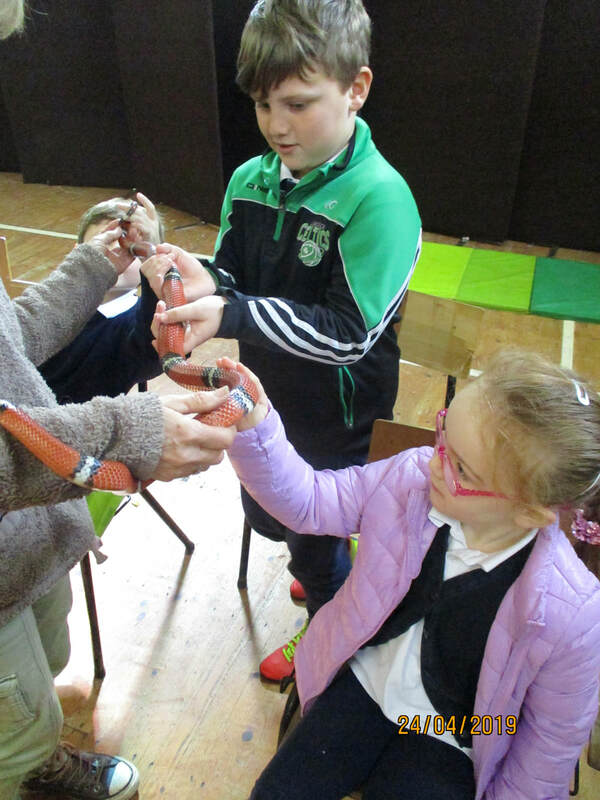 Rosie showed us chinchilla, a tarantula spider, a kestrel, bearded dragon lizards and a milk snake. 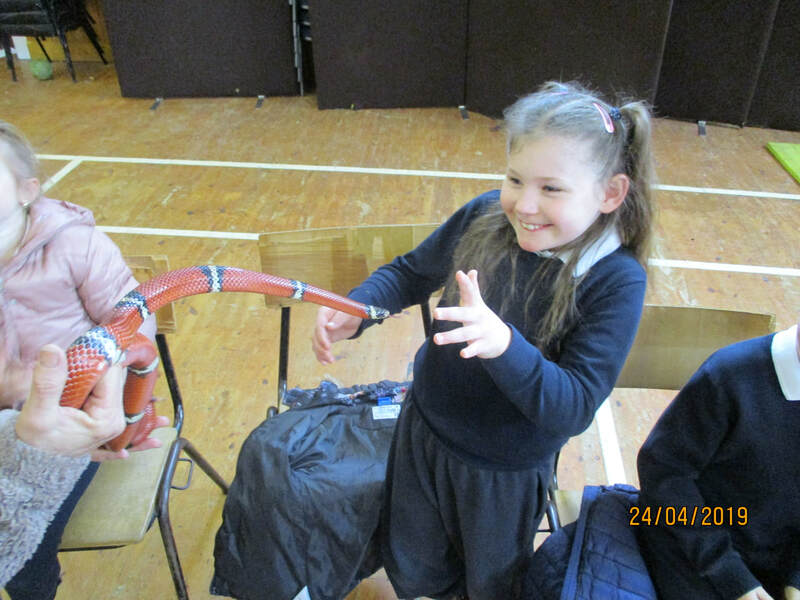 All spiders are poisonous but most cannot penetrate human skin so are not dangerous. 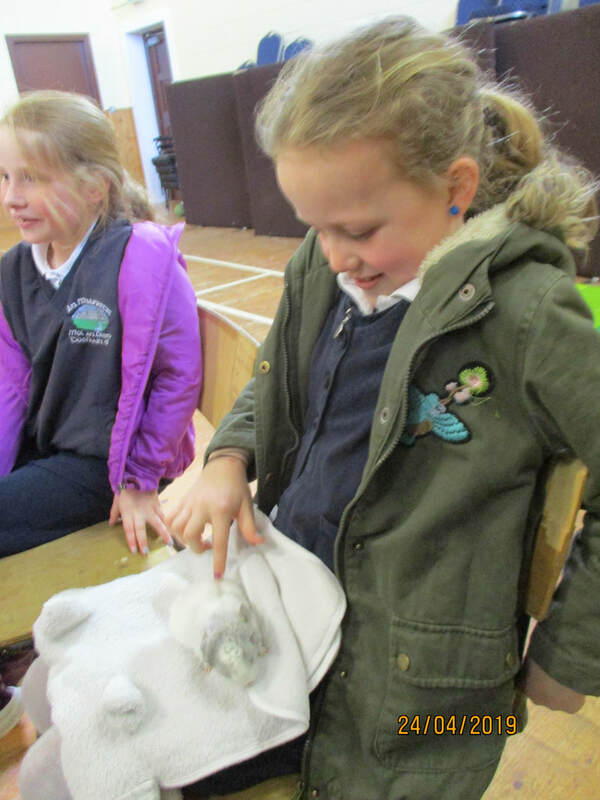 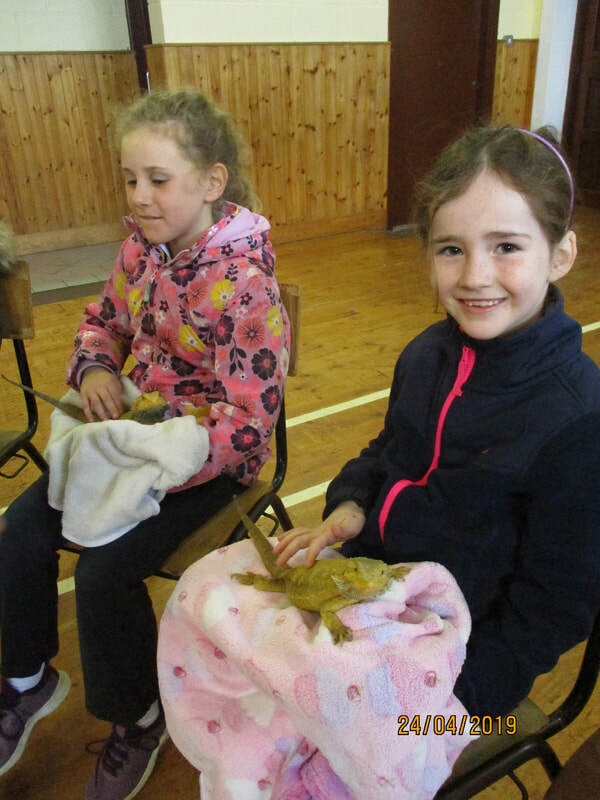 We were amazed to see that the tarantula is actually very hairy. 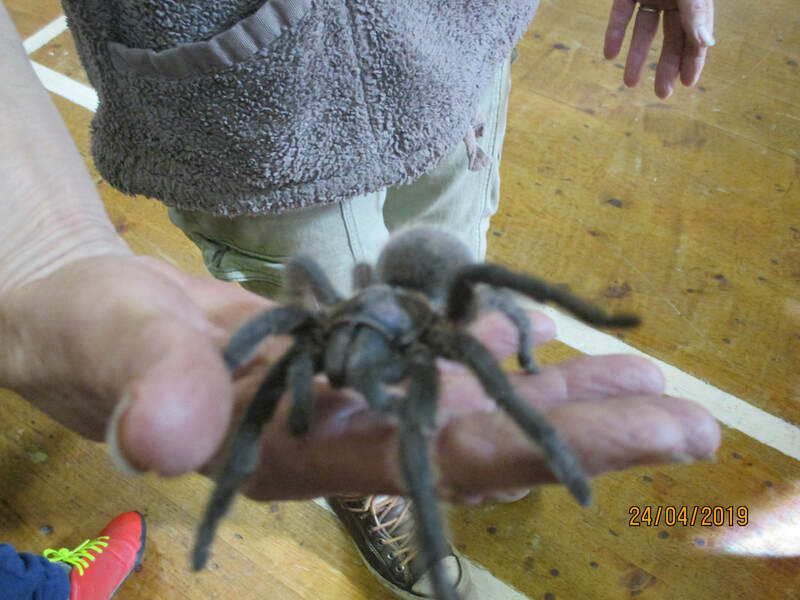 Tarantulas have 8 eyes, yet they still cannot see very well. 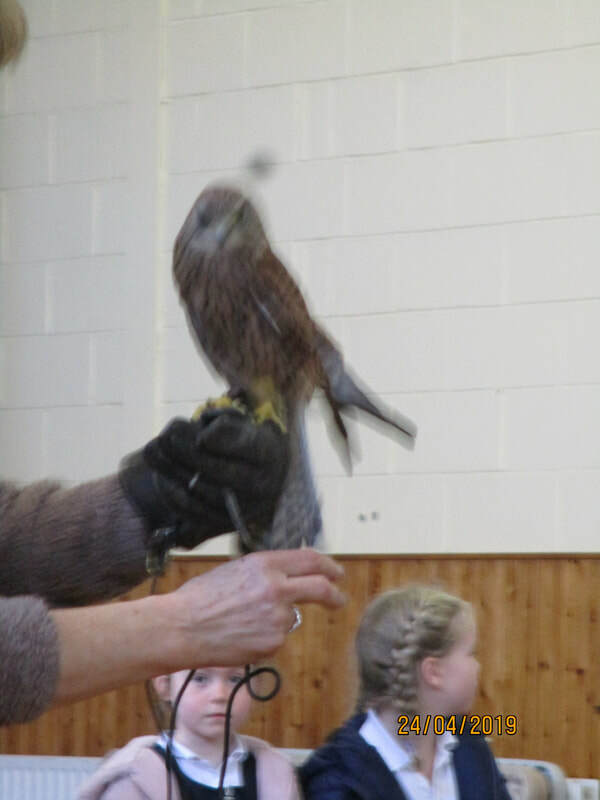 A kestrel is one of the few birds that can hover. 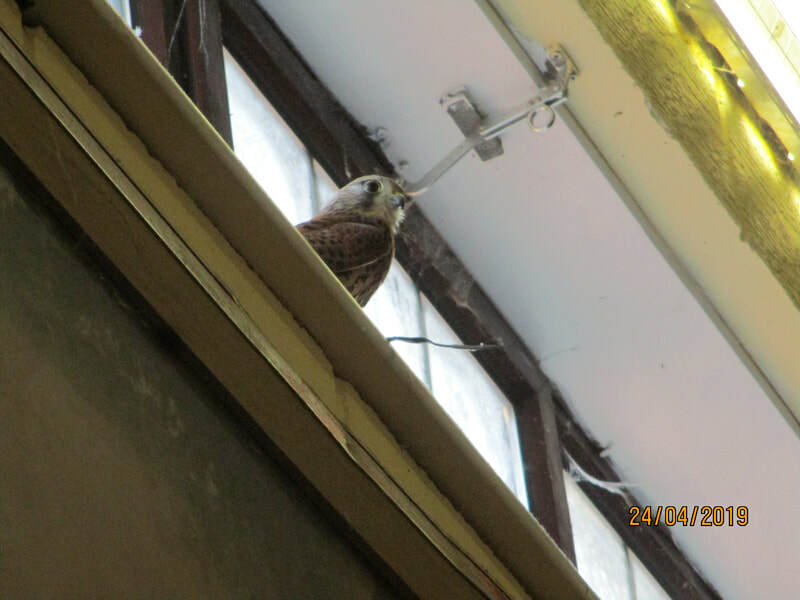 A kestrel can spot its prey from 20m up in the sky. 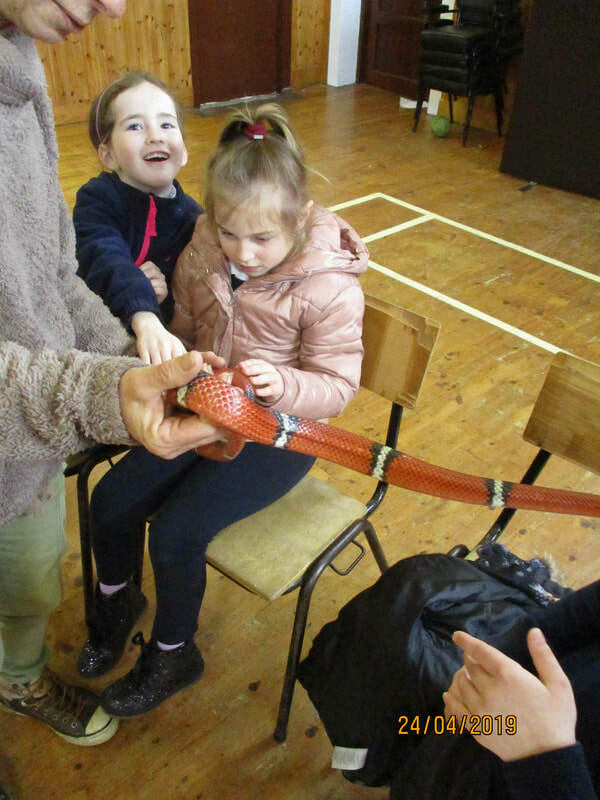 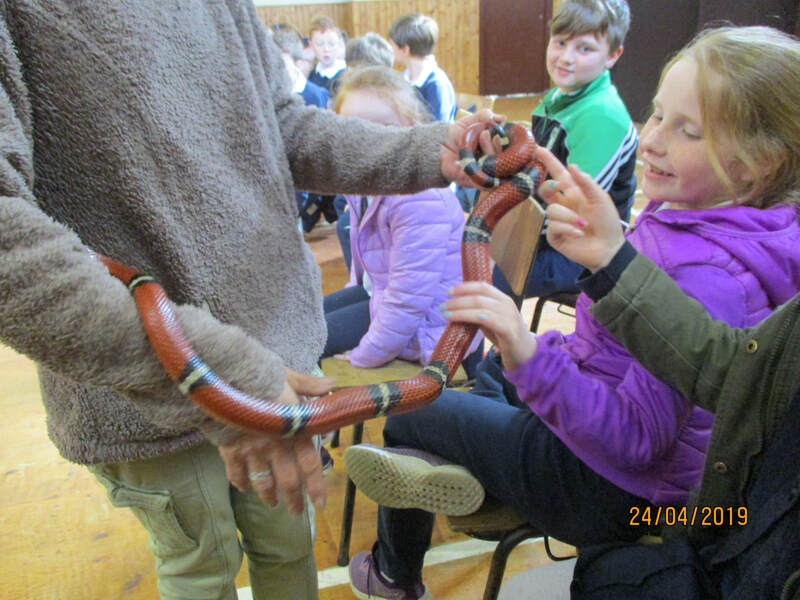 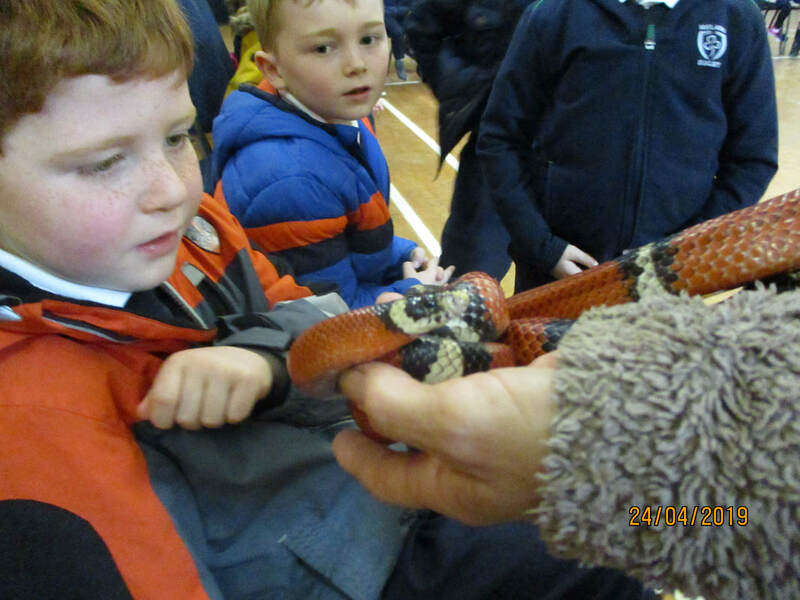 We were surprised to find that the milk snake's body is actually soft and smooth when we felt it. 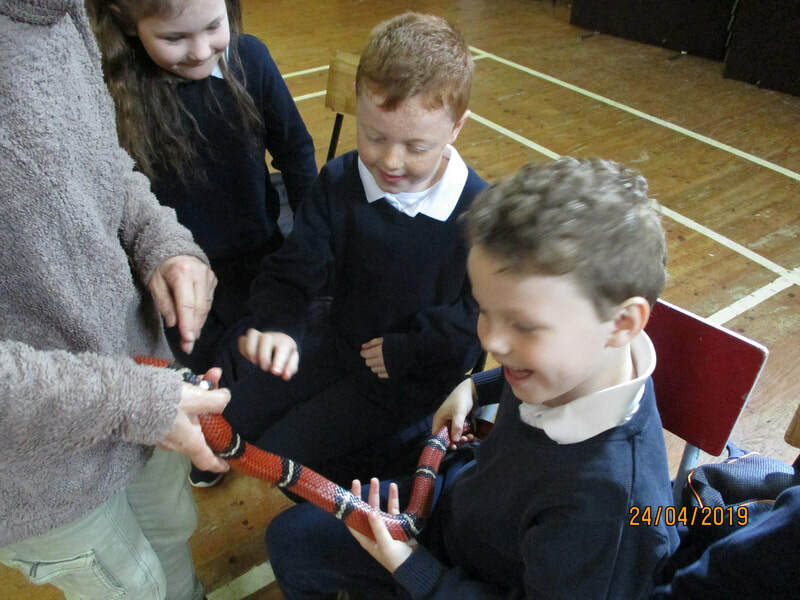 Milk snakes come from Australia. 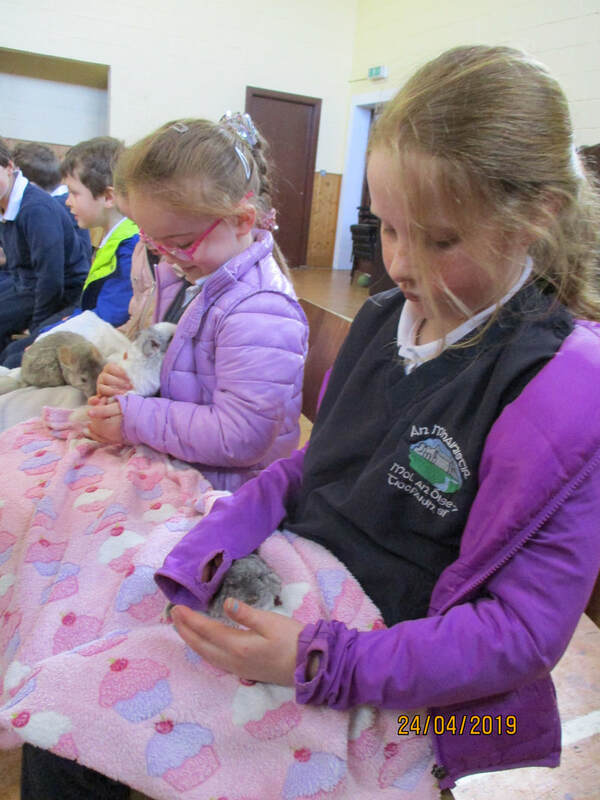 Hunters used to kill Chinchilla for their soft fur but they are now a protected species. 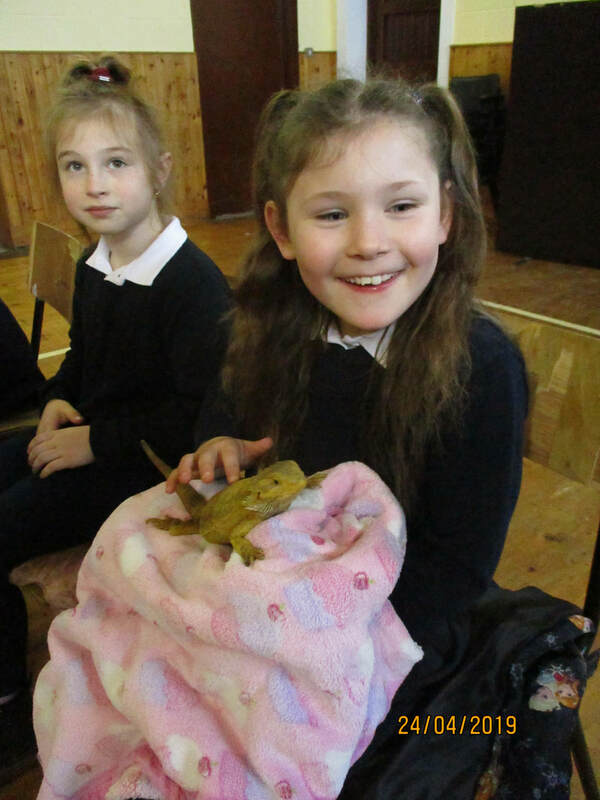 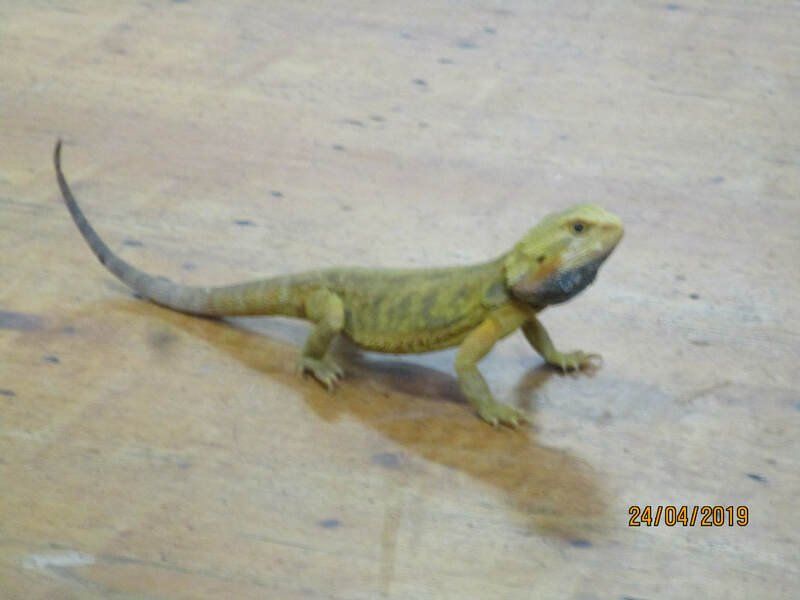 The bearded dragon's "beard" can change colour and become black if it is afraid and wants to protect itself.